﻿ Outdoor Recreation Report: National Study Southwick Assoc. 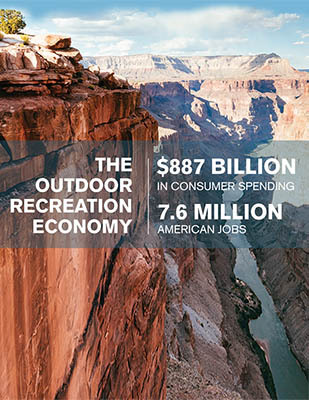 The Outdoor Recreation Economy report is a national study examining the economic impact of outdoor recreation in the U.S. It tracks annual spending by Americans in pursuit of outdoor recreation across 10 activity categories. It also documents the direct jobs supported by this spending as well as federal and state/local taxes generated. The report was commissioned by Outdoor Industry Association and builds upon the peer-reviewed study citing the economic benefits of outdoor recreation released by OIA in 2012.